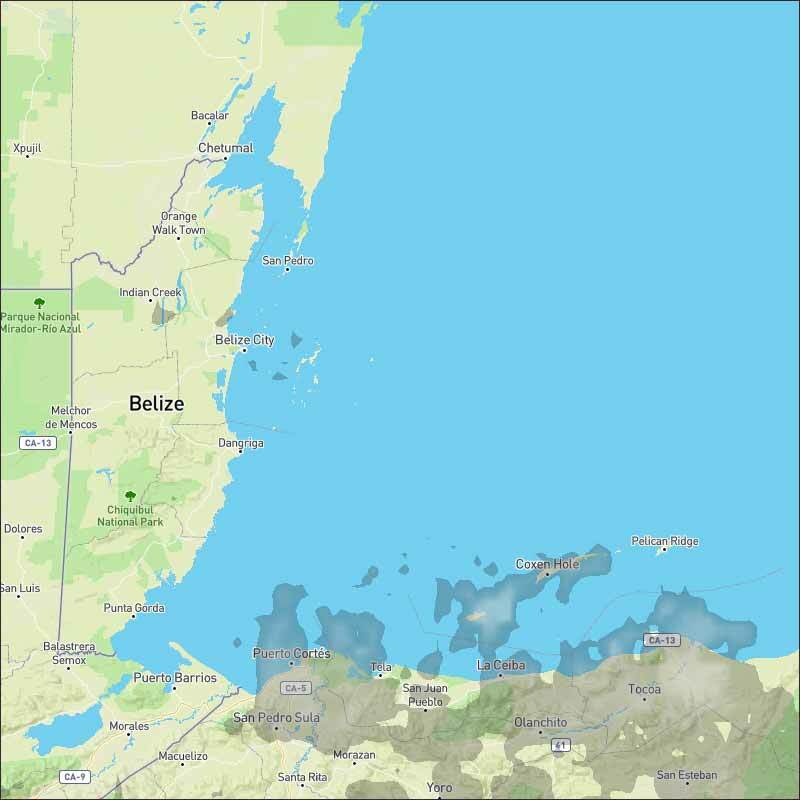 Belize NMS: Fair warm and dry conditions prevail. 24-hour forecast: Sunny today and partly cloudy to clear skies tonight. No rainfall is expected. General Outlook: Fair and dry conditions will continue on Saturday and Saturday night. Today E-SE 10-20 kts Choppy-Moderate 4-6 ft WARM AND DRY. 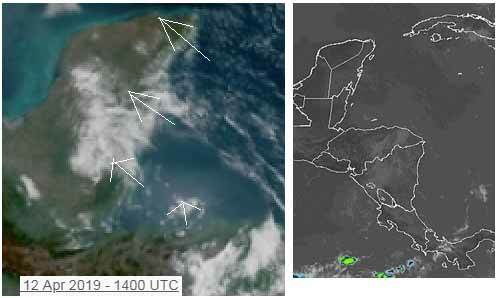 Satellite imagery shows dry air over the NW Caribbean mainly west of 80W. Scattered showers are observed near Jamaica and eastern Cuba north of 17N between 74W-79W. Scattered showers are also noted over the Greater Antilles, transported by the moderate to fresh trades across the region. Fresh to strong southeast winds will develop over the far western Caribbean and Gulf of Honduras on Friday and continue into Saturday afternoon, then be mainly confined to the Gulf of Honduras through Sunday night. Fresh to strong northeast to east winds will develop over the south-central Caribbean and near the coast of Colombia through the weekend, while expanding northward in coverage. The sea state around our barrier reef at Ambergris Caye is choppy this morning. The wind is at 18 mph from the East-SE. Today's expected high temperature is 88f. 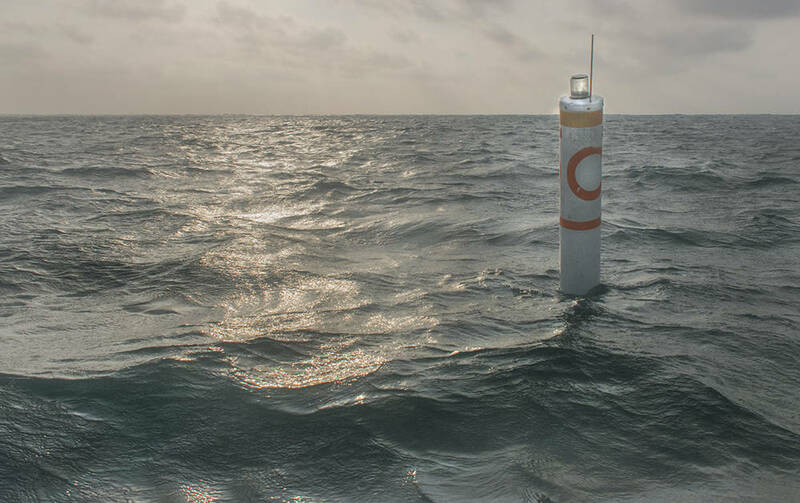 Today's weather photo is of the new channel marker at the Mata Cut. The Caribbean winds are trying to take over again. 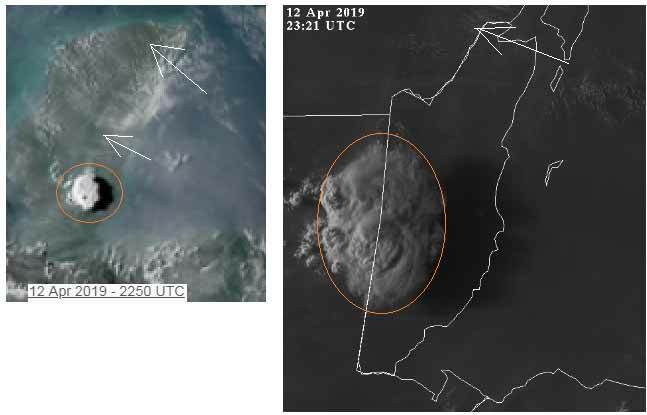 They are over most of the Yucatan, and the north half of Belize, but there is presently, little or no wind over southern Belize, where the previous air mass is resulting in no movement and no clouds. So a cloudy start to the north and clear skies to the south, but the easterly Caribbean will take over to give sunny skies with white clouds but no rain today, no rain anywhere near Belize. 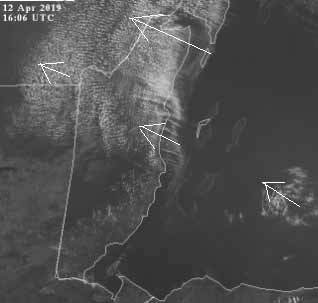 Patchy clouds building over northern Belize mainland. . . Feels very 'muggy' yet less indication of smoke in the air, part of it is probably that the wind is very slow, but the air feels uncomfortable. Often this leads to thunder storms, but I do not believe in this case, it might be that there is a lot of grey, not orange, but grey dust in the air, making it fee more humid that it actually is. A very large ITCZ swell-up has been occurring this afternoon over Guatamala and now spread way into central Belize. There is rain from this in Guatamala, but only a tinny bit over the border in the mountains at present. The dust from fires in the atmosphere is all over the western Caribbean making it sticky in Belize today. This dust will be around for a few days, quite possibly triggering more ITCZ swell-ups tomorrow, which could cause rain.